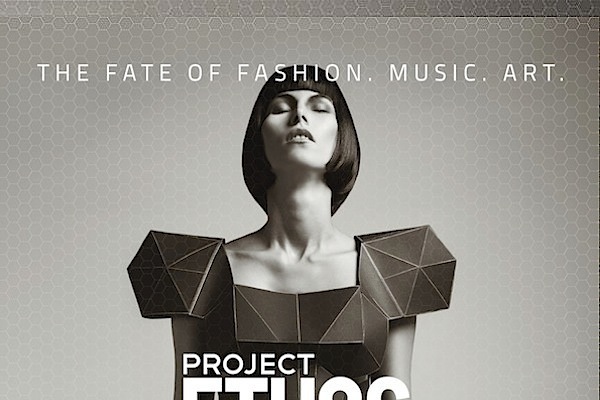 Committed to representing LA’s best, Project Ethos and Scion will host “The Fate of Fashion, Music, and Art“ on March 12th, 2013 during LA Fashion Week at the Avalon Hollywood (1735 Vine St. Los Angeles, CA 90028). The event will feature powerful LA locals within fashion, music, and art from 8pm to 2am. Other sponsors include LA Weekly, TFLG, and stylists TNT Agency. “We curated this fashion line up with the help of Michael Tronn of Tronn Creative and our newly appointed Fashion Director Josh Washington. They both have an acute sense of taste and experience, so we are excited about the development of our fashion presentation,” said Jason Peskin, CEO of Project Ethos. Fashion sets the tone on the runway at 8:30pm, 9:30pm, and 11:30pm showcasing the designs of Traver Rains (T. Rains), Daniel Bohbot (Hale Bob), Michael Costello, Andrew Christian, Maor Luz (Maor Apparel), Michael Kuluva (Tumbler and Tipsy), Siann Marlowe (The Ras Collection), Deanna Richmond (Deandri), Nine in the Morning, Pas Pour Toi, Haus of PinkLemonaid, and Madisonpark Collective, blending industry and LA favorites with the best of emerging talent. At 9pm, Project Ethos sets the stage for a live performance by alternative-pop band, Fire in the Hamptons, with the buzzing “Humanimal,” featured on Gossip Girl (The CW), Jersey Shore (MTV), and KCRW. Throughout the night, an eclectic mix of art in the Main Room and Bardot galleries will be displayed from artists Aaron Mostow, Gregg “Viz” Visintainer, Johnie Thorton, and Miri Chais and live art performances from Ivan Djurovic, Van Saro, John Park and more TBA. event impresario Jin&Quinn with fashion shows, DJ sets and live art until last call. Project Ethos is the premier outlet for fashion, music, art, and lifestyle brands.